Maddy has sent one link regarding sleep and learning. Very very interesting and all of you should read the article. Our predecessors have made a lot of things available from time immemorial. Only the terminologies were different. I tumbled upon this concept of experimenting sound on sleeping children 23 years back. Chinmayi was also a child born on experiment, which I called as Abhimanyu experiment. This is trying out possibities, while pregnant. But the above experiments are extremely tricky and need very very careful and methodical application on the experimented. Otherwise it can cause serious damages, sometimes irreparable also. There are certain systematic preparations before and after; so that the brain and the nervous systems are not affected. Any mistake in these cases will not be immediately visible or felt, but the damages are understood much much later and sometimes remedy is not possible. That is why I never wrote or published these results. Today we are confronting self proclaimed prodigies or parents claiming any and every child as a prodigy. I am more worried about the over ambitious and untrained parents who might plunge into such experiments on their own. What Mathangi says is also valuable. Music is essentially a karna parampara ... aural tradition! The natural way of teaching to identify ragas were by making the children listen to concerts, acquainting them with the essential movements of ragas so that they can effortlessly identify the raga. All parents play a vital role in this. Beyond what is taught by the guru the parents contribute considerably as in the case of Matangi's father. The Tone Deaf is a concept which is described as gandu in our ancient texts. Shastra gandu, Sangita gandu, Akshara gandu and so on. A gandu can not transform into super talent. nice of you to mention my dad's 'method'! And true.. And this needs to be told.. Coz.. I think, it was sometime during 2007-08- one of the popular reality shows .. had similar cases, where the kid was so stressed out, because of the pressure enforced on her, to win, that she collapsed and needed serious medical attention! And what strain these people take to win! It's just a contest.. There is no sportive attitude in most cases..
All these reality shows- which- in one way are gr8 platforms for new talents, are also- too tempting for few! Kids- forced to grow at a faster pace- by parents! I pity those kids.. I think, still more parents must watch 'tare zameen par'..! Can you post the link for this sleep and sound too? It is an awesome concept and would make for a great read! where can I find the link from Maddy? Thank you for the mention Madam. True what you have said. On the brighter side, lot of talents coming out at very young age, but are these kids capable to take so much of stress is the question. Would like to give a personal try for my language learning too :)!! 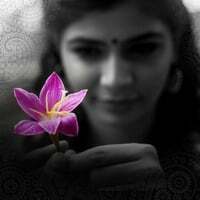 Chinmayi&Padmhasini Ma'm, Thanks for that useful info. @Maddy and Vish: Thank you!! I am very much into cognitive neuroscience and I really appreciate it!